Single jersey open width knitting machine is designed based on the single jersey tubular knitting machine. By installing the special open width fabric taken down device, the fabric can be cutted automatically on the open width machines. 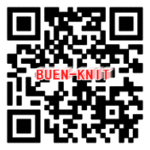 This is to makes sure the fabric to be more smooth and without wrinkles. 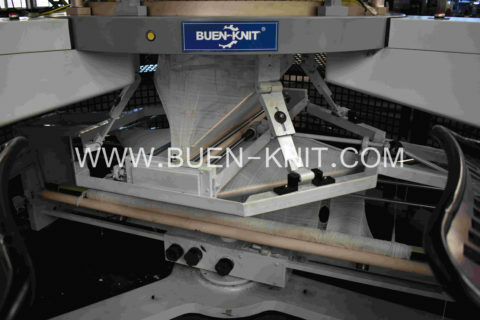 Fabric knitted from this machine can be used without waste, which can save the factory cost. Open width knitting machine equip with 4 tracks of CAM, it can knit many types of knited fabric such as plain single jersey, spandex single jersey, pique, locasted, mini jacquard etc. 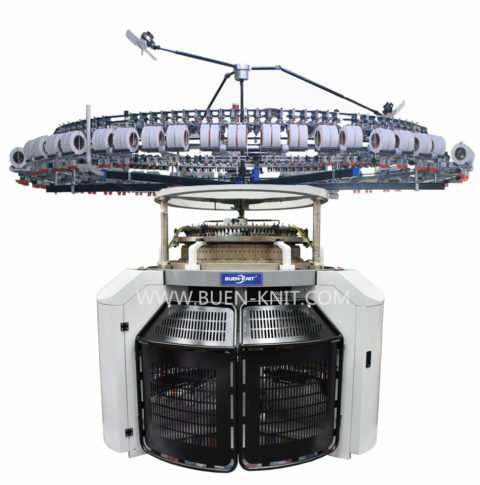 Single jersey open width knitting machine designs to enable the fabric completely not have crease. Make sure the fabric can be used completely without waste, which can reduce the cost and enhance the profit. 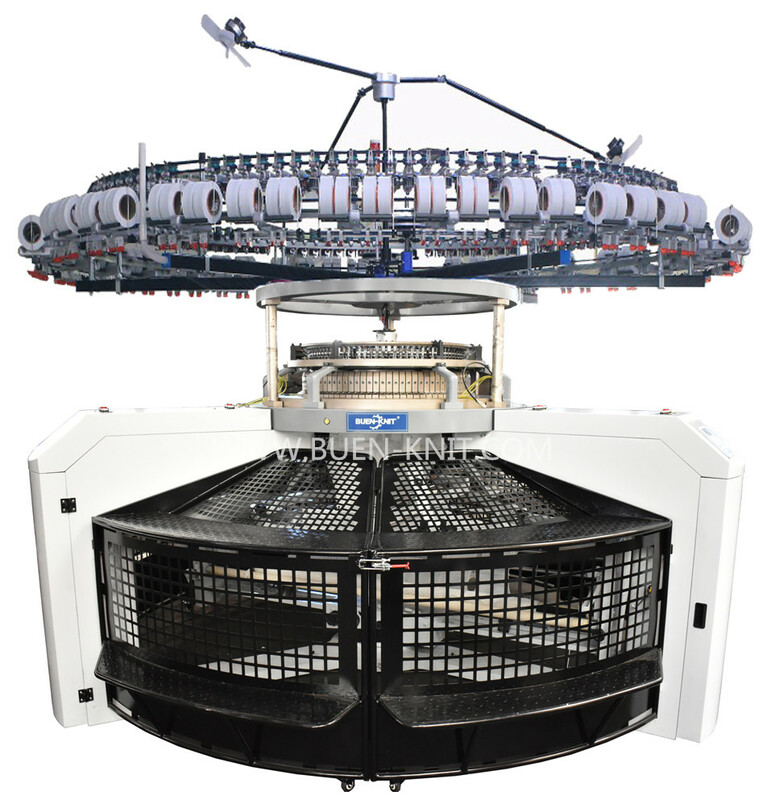 If you choose dual-size for single jersey open width knitting machine,it can interchange the diameter in one machines.For example: 34″ 102 feeders can be interchanged with 30″ 90 feeders. The micro-adjustment of the CAM box makes the distance between the CAM and the cylinder can be controlled. 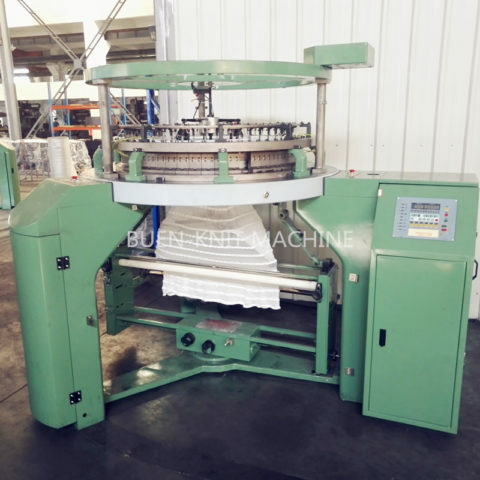 The fabric taken down system equip drum speed transfer device, which makes the fabric in even and stable density. it’s easy control and save your time. Various spring-loaded detector points. These are carefully positioned around the cylinder according to their particular function. 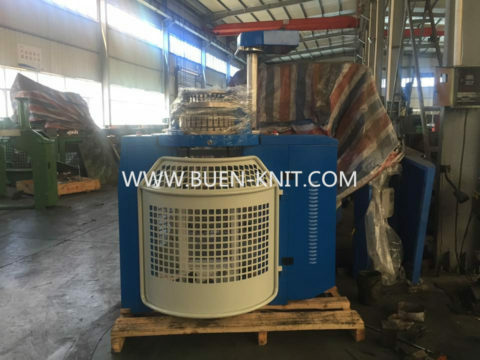 A pointer is tripped to stop the machine by a fault or malfunctioning element such as a yarn slub, fabric lamp, needle head, latch spoon, etc. 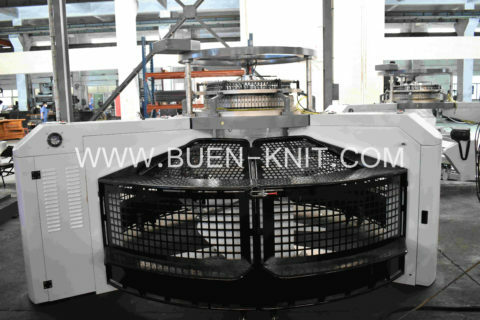 Single jersey open width knitting machine can fix the tightness of different size fabric, which extend the life of needle. Distance between two fabric ends keep same when producing fabric. 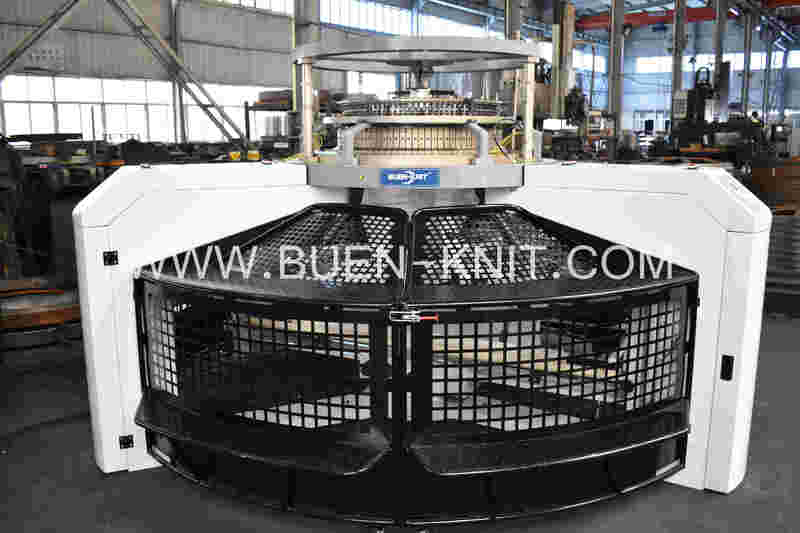 Machine have scale marks, which can made record when production.